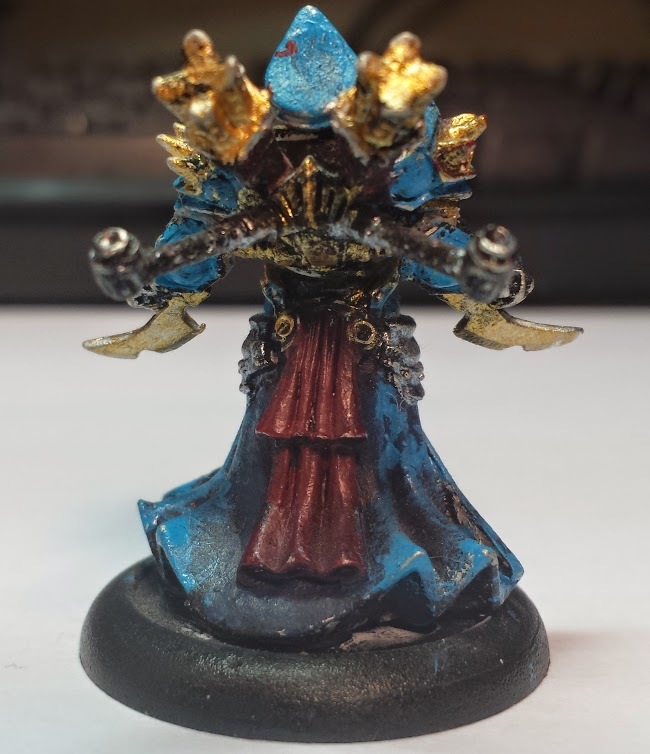 Elijah went with an unorthodox paint scheme for his Protectorate of Menoth, feeling that would look better using the same colours as Cygnar. And he did a fantastic job. 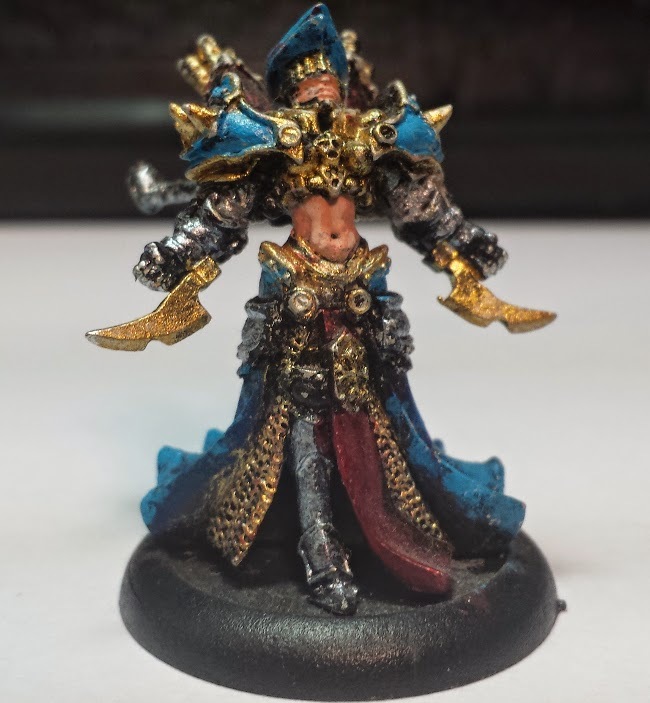 This is of course the Warcaster Feora, Priestess of the Flame, a true terror on the field.